University Core Curriculum Requirements (41 semester hours). College of Liberal Arts Academic Requirements (14 semester hours). One approved writing-intensive course designated by the major department as fulfilling the Writing-Across-the- Curriculum requirement. 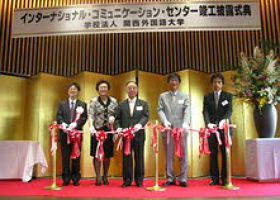 One English composition course, excluding creative writing, in addition to the Core Curriculum composition requirement. Students who have fulfilled the Writing-Across-the-Curriculum requirement may fulfill this requirement with a second College of Liberal Arts approved writing-intensive course. This track focuses primarily on teaching English to new speakers of the language in an ESL or Bilingual setting. Consists of 33 semester hours comprising a core of basic courses in the structure of the English language and pedagogical methods. Provides students with a solid grounding in linguistic theory and application. 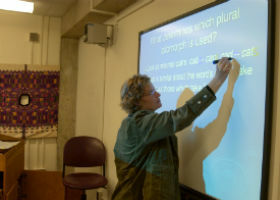 The major in linguistics consists of a minimum of 33 semester hours comprising a core of basic courses in general linguistics plus a variety of electives.